By the time this article is published, the Office for Students (OfS) will have been up and running for just over three months. One of the initial activities of the OfS that will be of most immediate interest to providers who currently receive public grant funding or wish to for the first time in 2019–20 (as well as those who wish to apply for or maintain a Tier 4 licence from 2019/20) is the requirement for 2019–20 to join the Register that the OfS is required to establish by section 3 of the Higher Education and Research Act. By mid-July, it is expected that all but those providers who want to receive public grant funding for the first time in 2019/20 will have applied to register (the suggested application date for those who want to receive public grant funding for the first time in 2019/20 is by 31 August 2018, although they can apply earlier). This is just the start for providers who have been successful in their applications for initial registration, and maintaining ongoing registration and avoiding sanctions by the OfS is sure to be on providers’ risk registers. In this article we look at some of the processes that providers should consider putting in place to help avoid sanctions and support ongoing registration. This is particularly relevant given the OfS’s risk-based approach to regulation. Student complaints will already be on providers’ radars for various different reasons. Often these will be on an individual basis and because a particular complaint brings with it a high risk of financial penalty or reputational damage. However, there are a number of general ongoing conditions of registration which require a more in-depth and forensic analysis of not just student complaints, but also complaints made by staff and others. By way of example, in relation to quality and standards in judging whether a provider provides “well-designed courses that provide a high-quality academic experience for all students and enables students’ achievement to be reliably assessed” the material that the OfS may look at specifically includes student complaints (whether to the Office of the Independent Adjudicator or elsewhere) and complaints from staff and others. Providers will want to identify processes that enable them to monitor and review trends across a wide variety of areas so they can spot early on any issues that may affect compliance with this ongoing condition so that problems can be addressed at an early stage, as opposed to waiting until the OfS raises this as a possible breach. All providers will be aware that the requirements of consumer protection law apply to the relationship between them and their students. The way in which these requirements map across to the HE sector is reflected in the 2015 Competition and Markets Authority advice for higher education providers to help them comply with consumer law when dealing with students. One of the ongoing conditions of registration is that a provider must demonstrate that in developing and implementing its policies, procedures and terms and conditions it has given “due regard to relevant guidance about how to comply with consumer protection law”. In judging whether a provider has had ‘due regard’, one of the behaviours that may inform the OfS’s judgment is whether the provider regularly reviews the adequacy and effectiveness of its policies and procedures relating to the provision of information, terms and conditions and complaints handling. As well as instigating a process for regular review, this should be underpinned by ongoing staff training on the provider’s consumer law obligations (including training for new staff) and a process for analysing any implications for consumer law obligations of any proposed new information or changes which may impact on existing terms and conditions. Unsurprisingly, the OfS requires providers to have in place adequate and effective management and governance arrangements. Two particular areas that are very topical and therefore likely to be of interest to the OfS (and which the OfS has set out in examples of behaviours that may indicate compliance or non-compliance with this condition) are remuneration and freedom of speech. A behaviour that may indicate compliance with this condition is that the provider explains publicly its approach to the remuneration of senior staff and that remuneration decisions are transparent. Whilst compliance with the CUC Higher Education Remuneration Code will go some way to demonstrate compliance, it is clear that the OfS will want to be satisfied that providers meet the overriding requirement of transparency. Providers should therefore be reviewing their remuneration processes for senior staff to ensure compliance. A behaviour that may indicate non-compliance with this condition is if the provider fails to abide by its own freedom of speech code. Anecdotally, monitoring of compliance with freedom of speech codes is not something that providers undertake universally and some may struggle to provide evidence to demonstrate both monitoring and compliance; a process to demonstrate both monitoring and compliance would therefore be helpful. Providers who were subject to regulation by HEFCE (as exempt charities) or the Charity Commission itself (as registered charities) will be familiar with their requirements in relation to ‘serious incident reporting’ (or ‘SIR’). In essence, the SIR regime obliges charities (including the very many providers who are exempt charities) to report incidents which pose a significant risk to their assets, beneficiaries or reputation. At the time of writing this article, the OfS has very recently published ‘Regulatory Advice 5’ (the publication date was 18 May 2018). Interestingly, this Advice does not make any express reference to the SIR regime as a requirement in relation to providers. There is also no reference to SIR in the OfS’s terms and conditions for funding, whereas HEFCE’s memorandum of assurance and accountability referred to it expressly as an obligation on providers. The OfS’s terms and conditions of funding do require providers to report ‘material adverse events’ to the OfS, although this provision is focused primarily on financial issues and was previously included in HEFCE’s memorandum of assurance and accountability in any event. The Advice does state that “beyond those requirements [i.e. as set out in the OfS’s regulatory framework] that apply to all registered providers regardless of whether or not they are charities, the OfS will place few obligations on exempt charities”. It may be, therefore, that the OfS is taking a different approach to reporting by providers from HEFCE. At the time of writing this article, the OfS had not published any other guidance on the events it requires registered providers to report to it, but providers should look out for this and review its implications once it is available so that any events which may constitute a reportable event can be identified and fed into the provider’s governance processes. The new regulatory framework for higher education in England and the role of the OfS as regulator bring about a major change, not least because it is clear that the relationship between providers and the OfS will be rather different to the past relationship between providers and HEFCE. This makes it all the more important for providers to put in place robust processes that will deliver the evidence base to enable them to engage with the OfS from a position of strength. 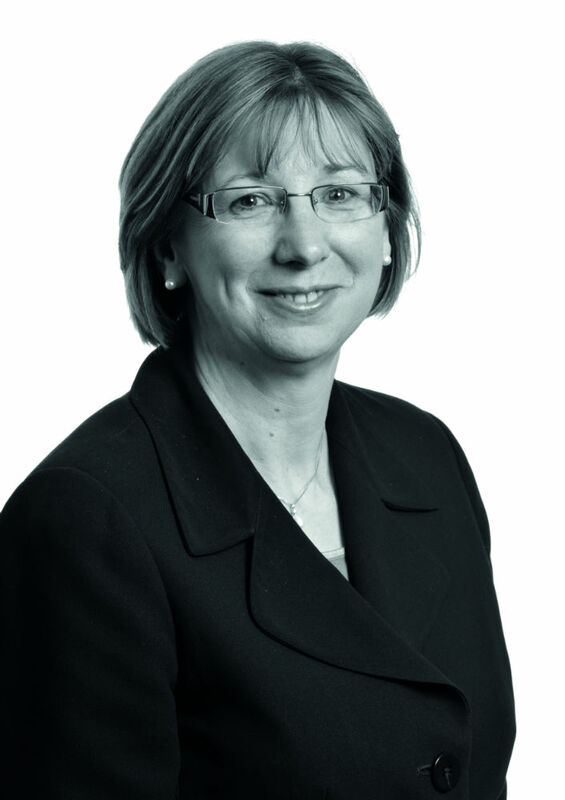 Bettina Rigg is a partner at leading education law firm VWV. She can be contacted on 020 7665 0960 or at brigg@vwv.co.uk.